He thought a neighbor’s dog might have strayed over to take a nap — but as he got closer, he realized something was horribly wrong. 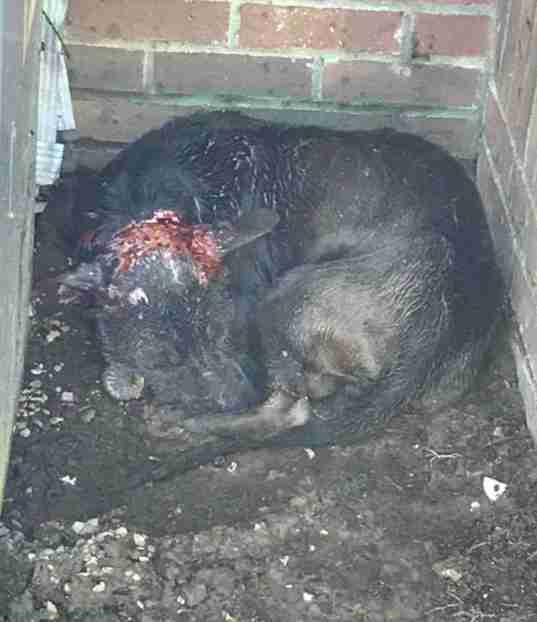 The dog was so skinny that his bones were protruding, and he had deep gashes all over his ears and head that were bleeding. His thin body was covered in scars and he almost looked lifeless. The man called police right away, who dispatched the Southern Cross Animal Rescue (SCAR) team to the scene. Those wounds, Pipkins later learned, told the painful story of life in a dogfighting ring. 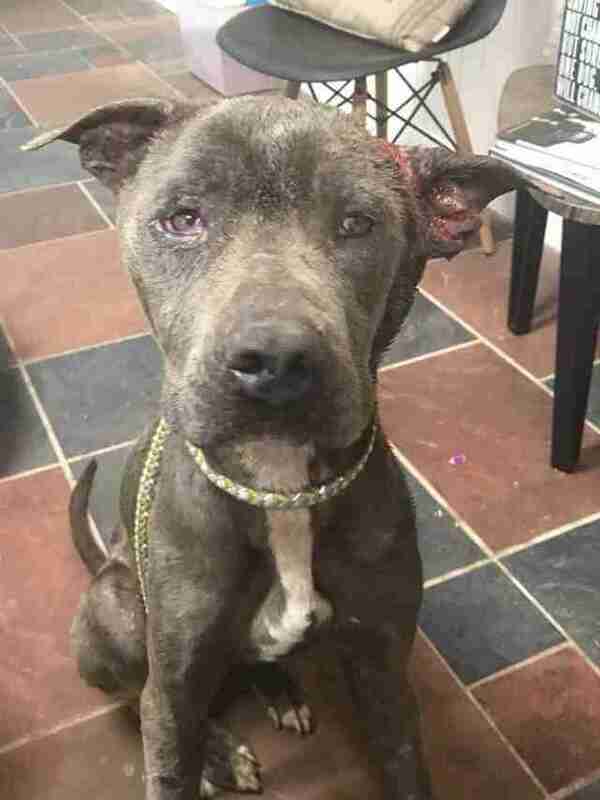 The dog was only around a year old, so it's likely he had spent his whole puppyhood being starved, beaten and attacked. Pipkins named him Atlas, after the Greek mythological figure forced to carry the weight of the world on his shoulders. Despite everything Atlas had been through at the hands of people, Pipkins could tell right away that he was very trusting. At the vet, Atlas got X-rays on one of his back legs, which was very swollen, in addition to a few stitches on the deep bite wounds behind his ears. The vet also rinsed his cuts to get rid of any germs, which Pipkins will have to do multiple times each day to ward off infection. 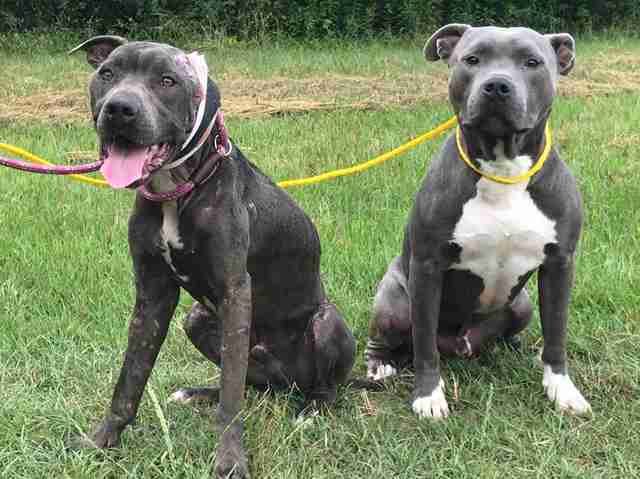 Atlas is looking so much better already, and he’s even taken a liking to Pipkins’ other dog, Channing, who was also rescued from a suspected dogfighting ring. Since Pipkins brought him home to foster, it hasn’t taken long for the family to fall in love with him — and it’s been the same case for people across the country who have seen his story on social media. The rescue has been overtaken with bags of food, treats, toys and even beds that people have sent in for Atlas. In the course of a few days, he’s gone from unloved to completely spoiled — and he can’t get enough. 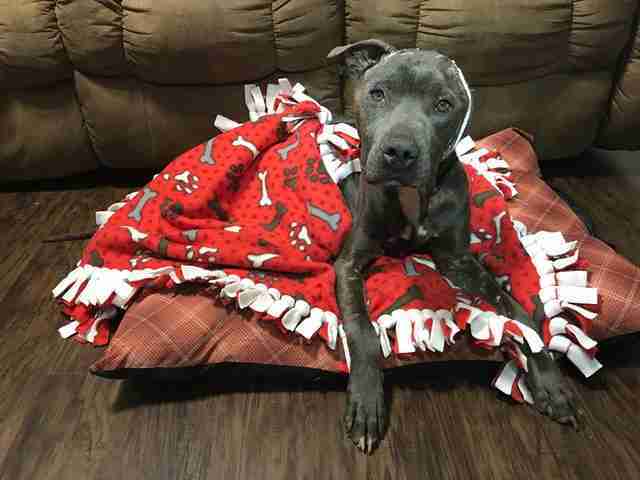 In the coming weeks and months, Atlas will continue to heal with his foster family at his side — and although there are currently no leads as to where he came from, Pipkins is so thankful that his will to live brought them together. To support Atlas’ ongoing medical bills, you can make a donation to Southern Cross Animal Rescue. 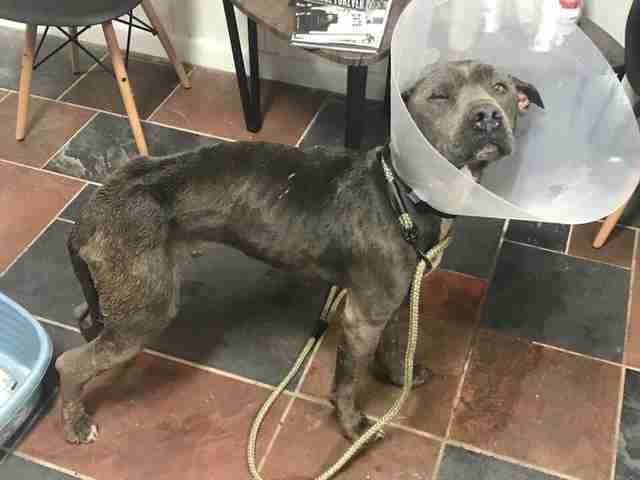 If you’re interested in adopting Atlas once he recovers, you can find more information here.